We had a great experience buying not one but two vehicles from INFINITI of KC. The sales team (especially Jose) was very accommodating and easy to work with. Not overly push like others I’ve worked with in the past. Great customer service. I highly recommend making your next vehicle purchase at Infinit of KC. You want it they got it! My wife had been looking for a INFINITI QX80 for awhile but we just didn’t think we could afford such a luxury SUV after looking on car gurus we saw INFINITI of KC had a extremely well taken care of affordable QX80 after speaking with Brennan and rob we decided to make the 2 hour trip there. Boy we’re we greeted with absolute kindness and respect! Brennan was a very likeable guy he met our every need and answered all of our questions! If you shop for an INFINITI make sure you shop at INFINITI of KC with Brennan cavanaugh. Chris Palmer was wonderful to work with. Thank you for all your help. Brenan Cavanaugh greeted me out in the lot as I was looking on my own and steered me to a Q50 which was a perfect fit!. My first INFINITI and the experience was first class by all involved. My best car buying experience--and I am an old guy so I have bought many. Can't be more pleased with Brenan and the company!! I have now bought two cars from Mark/Joe at INFINITI of KC, and serviced 4 cars at their location. (Spencer in service is awesome and very accommodating) . This dealership is great. I could list off 10 things about the little things, but at the end of the day it is because I trust them. Mark is honest about all his cars on his lot, and wont show you BS that you cant afford or shouldn't be driving. Spencer helps me understand what I need to be worried about, when I need to worry about it, and never tries to pull wool over my eyes. I will continue to go to them and tell anyone in the market for a car about them. I would give them 10 stars if I could. 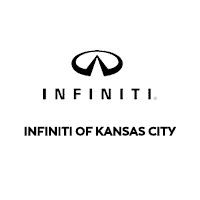 I had a phenomenal car buying experience at INFINITI of Kansas City. Ryan Rowley provided unparalleled service throughout the whole process. I was working with multiple other dealerships, but Ryan was the only individual I felt I could trust. He was knowledgeable, informative and patient. He went to extremes to ensure I received the best possible value. Thanks so much for all your help, Ryan! This is our second INFINITI purchase in the last 6 months. Our first purchase at INFINITI was a family vehicle 2017 new QX60 SUV-October 2018 is when we found the vehicle online and reached out to Ryan. Ryan was easy to work with and was a no hassle process. We had the vehicle within 24 hours. We were shocked that buying a car could be this easy! Our second purchase April 2019-was a QX 50 used for our teen daughter. We knew 100% that this car was coming from INFINITI and Ryan would be handling our deal. Again, the deal was done in a couple hours,with no hassle. We have owned over 10 vehicles in the past 10 years and those deals were always a nightmare. Never again. We are forever an INFINITI Family. Thanks Ryan!!! I am not someone who enjoys car shopping. I find what I like and then let my husband do the rest. We had been looking for while and were not in a big hurry. If we got the deal we wanted then we would buy. We walked in to the Infinity dealer and met Poula Fayek, he was very friendly, not overbearing and was very knowledgeable about the vehicle we were looking at. I was incredibly impressed with his run through of all the features. Of course I didn't remember everything and am still enjoying the discovery of something new each day. He sold me, now he has to sell my husband. I went and hid in the lounge while my husband and Poula negotiated. I had just gotten comfortable when he said that the deal was made. Not only did I get the vehicle I wanted, we also got the price we wanted. I would recommend Infinity and I highly recommend working with Poula Fayek. I had the most pleasant experience with my car shopping needs from Infinti of Kansas City. We had a very pleasant sales person by the name of Jose. He listened to our needs. There was no pressure to buy and we brought 2 vehicles. I would recommend them to anyone who needs or wants to buy a vehicle.